Christopher Bassford, CLAUSEWITZ IN ENGLISH. Chapter 21. By the early 1990s, Clausewitz's theories and concepts had come to permeate Anglo-American writing on military and national security topics. Clausewitz's reception after 1945 is so large and complex a story that continuing the detailed and chronological approach of the main treatment would be impracticable. It nonetheless seems useful here to identify the various kinds of considerations—political, military, intellectual, and organizational—that have made Clausewitz so influential, in order to put the earlier story into proper perspective. It is true enough to say that by 1945 the stage had been set for a significant renewal in the study of Clausewitz's thought, but that renewal would be slow getting under way and would take place under circumstances that were radically different from those of the earlier period. Considerable hostility to Clausewitz lingered on, well into the 1960s. Liddell Hart's and J.E. Edmonds's post-1945 attacks on Clausewitz have already been discussed. In 1957, one of the most vituperative attacks ever made on the philosopher appeared in Fort Leavenworth's Military Review. (*1) It called Clausewitz the "pied piper of modern military thought" and attacked him for the utter immorality of his theory of war. It held up Sun Tzu as an example of the ethical soldier, which seems rather odd. Despite his emphasis on the "bloodless battle," parts of Sun Tzu's Art of War are distinctly fiendish. (*2) The purpose of the article was to blame Clausewitz for the thinking behind total war strategies and the Eisenhower administration's insane "massive retaliation" policy, and it was, of course, probably right in making some connection. Other than that, the article is a tissue of shallow perceptions, misinformation, and venom. It concluded with a great deal of satisfaction—and medical inaccuracy—over Clausewitz's death in 1831 "of a ratborne disease." The writer (U.S. Army master sergeant Forrest K. Kleinman) evidently based his assault on a partial reading of the first chapter of On War and on the guidance of Liddell Hart. It is strange that Kleinman was able to get so worked up about something he obviously knew so little about and even stranger that Military Review saw fit to publish it. A more serious and intelligent attack on the Clausewitzian legacy appeared in 1968 in an American abridgment of the Graham translation of On War edited by Anatol Rapoport. (*3) Born in Russia in 1911, Rapoport was a professor of mathematical biology at the Mental Health Research Center at the University of Michigan, something of a Renaissance man, with varied interests and noteworthy musical accomplishments. Kissinger also does not appear to have been driven by any particular fixation on Clausewitzian theory. Few of his biographers mention Clausewitz except in passing, and Kissinger's own references are few and far between. (*9) Some similarities between Kissinger's and Clausewitz's views may derive from a common influence by Kant (Kissinger's senior thesis at Harvard was entitled "The Meaning of History: Reflections on Spengler, Toynbee, and Kant"). The French Revolution and the Napoleonic wars were another set of common influences: Kissinger's doctoral dissertation concerned the Vienna settlement of 1815. (*10) As both diplomat and historian, Kissinger took a conservative approach to the balance of power. Although this approach coincides with Clausewitz's, there is no evidence that Clausewitz was his inspiration. Indeed, hostility to Clausewitz is born anew whenever the militarily unsophisticated hear a few choice quotations from his work. The author of this piece, Washington Post staff writer (and humorist) Joel Achenbach, is obviously a neophyte in military terms: He thinks that "objectives" is "a Clausewitz word," expresses surprise on hearing that military officers go to graduate school, and calls the phrase "war college" a "virtual oxymoron." On the other hand, he has clearly done some research on contemporary military analysts (Summers, Luttwak, and others) and has been forcibly struck, despite his lack of preparation in the field, by the dominance of Clausewitz's influence in present-day American military thinking. Generally, however, this negative view of Clausewitz has faded away under the pressure of events. There were three factors above all that would lead, via several avenues, to a new urgency in the Anglo-American study of On War: the atomic destruction of Hiroshima and Nagasaki, the Cold War between communism and liberal democracy, and the American defeat in Vietnam. The prospect of nuclear war was itself a new problem, one that turned Clausewitz's concept of "absolute war" from an abstract concept into a potential reality. That reality also perforce brought to the fore another and contrary Clausewitzian concept, that of limited war, which had seemed to most to be so inapplicable to warfare in the first half of the twentieth century. As for the Cold War, the widespread perception that Clausewitz's ideas underlay much of Marxist-Leninist(*19) and possibly Maoist(*20) military theory was also a major impetus to the study of On War. These factors sufficed to bring Clausewitz into the intellectual mainstream, but it was only the disaster in Vietnam that led American military institutions to turn to his guidance. As for the countervailing concept of limited war, it was the Korean War that served, after some delay, to bring Clausewitz's ideas to the forefront of military theoretical discussion. In combination with development of the hydrogen bomb, which eliminated any lingering idea that the nuclear warhead was "just another weapon," Korea made it clear to many that total war now occupied the same position of impracticality that limited war had held in the first half of the twentieth century. The term was quickly drafted into the ongoing strategic debate, but its origins with Clausewitz were only very slowly explored. As early as 1946, Liddell Hart had published an important article entitled "War, Limited." In it he made all the usual attacks on Clausewitz and his "misinterpreters" but naturally gave no credit to the German philosopher for having anything useful to say on the subject. (*22) Even after Korea gave impetus to this line of thought, the impact on Clausewitz studies was delayed and inconsistent. Although discussions of Clausewitz figure prominently in some of the literature on the Korean War, many writers on Korea and on the topic of limited war itself fail to mention him at all. (*23) Many of those who do seem to be making mere genuflections without much comprehension. Lebow was clearly overemphasizing the degree to which Clausewitz himself had been attached to the limited-war aspects of his theory. The nuclear problem aside, the Cold War posed many problems for American political thinkers, not least of which was the problem of how military institutions—to which Cold War tensions gave a much more prominent peacetime role—fit into a democratic society. Clausewitz made a major entry into American civil-military theory (also in 1957) when Samuel P. Huntington published his first book, The Soldier and the State. Huntington pointedly disagreed with Liddell Hart's caricature of Clausewitz. He referred to "Clausewitz's concept of the dual nature of war" (i.e., that war in the idealized concept of "absolute war" was autonomous, whereas real war was in practice subordinate to policy) as a key to the formulation of a truly professional military ethic. By clarifying the interplay among the trinity of army, government, and people and clearly describing the two sides of the civil-military relationship, Clausewitz offered a way out of this dilemma and into the future. America's soldiers found unacceptable any suggestion that they had failed on the battlefield, but they were willing to admit that policy had been badly made and that they had misunderstood their role in making it. Perhaps the most important in-house military study in the immediate post-Vietnam era was Colonel Harry Summers's seminal On Strategy: A Critical Analysis of the Vietnam War. An explicitly Clausewitzian analysis originating in an official U.S. Army War College study first published in 1981, On Strategy expressed the army's most fundamental "lessons learned" from that conflict. (*32) Summers's work is reminiscent of F.B. Maurice's British Strategy: A Study of the Application of the Principles of War (1929), in that it analyzes the problem in terms of both grand military theory and the traditional "principles of war" as divined by J.F.C. Fuller. Summers's book is much more narrowly Clausewitzian and thus a good deal more consistent and coherent. His use of Clausewitz's concepts is brilliant, although his estimation of the character of the Vietnam War is debatable. Summers's argument was tremendously influential both inside and outside the armed forces. It underlies important subsequent statements of national policy, most notably the "Weinberger Doctrine" expressed by Secretary of Defense Caspar Weinberger in 1984. Frequently quoted during the many debates over military action against Iraq in 1990/91, the Weinberger Doctrine explicitly cites Clausewitz in the third of its six points: "As Clausewitz wrote, `No one starts a war—or rather, no one in his senses ought to do so—without first being clear in his mind what he intends to achieve by that war, and how he intends to conduct it. "(*33) Other reactions to Vietnam and subsequent military embarrassments, such as the army's "total-force" policy and the 1986 Goldwater-Nichols reforms of the Joint Chiefs of Staff, are similarly intended to correct civil-military imbalances in policymaking. Perhaps the most thoroughgoing example of American military Clausewitzianism is the new basic U.S. Marine Corps doctrinal manual, FMFM 1. Fundamentally a condensation of Clausewitz, Warfighting is heavily spiced with Sun Tzu and salted with concepts from a great many other military thinkers. A product of the era of Marine Corps revitalization under commandant General Al Gray, it is a uniquely philosophical document rather than the usual Jominian cookbook. In some respects it represents Clausewitz's revenge on his persecutors: Of fifty-nine source citations, nineteen refer to Clausewitz, just one to Liddell Hart. Along with the enthusiasm for Clausewitz in the army, marine corps, and air force, the navy has revived the study of Corbett. In the post-Soviet era, Corbett's work, because of its emphasis on joint and littoral operations, seems likely to eclipse Mahan's as the navy's theoretical keystone. The new prominence of Clausewitzian concepts in Anglo-American military thought has not been the product of historical circumstances alone, of course. There has also been a concerted and sustained effort by British and American scholars. The appearance of Michael Howard and Peter Paret's magnificent new English translation of Vom Kriege in 1976 coincided happily with the soul-searching of American soldiers in the wake of Vietnam, but it was the culmination of a project conceived in the very early 1960s when Vietnam was only a small cloud on the horizon. Its origins could be traced fairly directly to Edward Mead Earle's seminars at Princeton in the early 1940s. For the most part, the new Anglo-American interest in military theory became the province of a new brand of civilian military theorist. These new civilian military thinkers were similar in some ways to pre-World War One British thinkers like Wilkinson, Corbett, and Thursfield. At first, however, they were mostly political scientists (like Osgood and Huntington) rather than historians, and their understanding of Clausewitz was rooted in the work of German expatriates like Rothfels, Rosinski, and Paret, not in the work of their Anglo-Saxon predecessors. American historians were relatively slow to pick up on the historical implications of Clausewitz's theories. In 1959, however, two years after Kissinger, Osgood, and Huntington had introduced Clausewitz prominently into their discussions of contemporary policy problems, a solid and positive view of Clausewitz appeared in a work that many in the United States regard as seminal in the development of a body of truly professional military historical literature there. Theodore Ropp's War in the Modern World was the only important book that Ropp (1911-) ever published,(*40) largely because he put his energies so thoroughly into teaching. He was, however, the mentor of a great percentage of the recipients of military history doctorates in the United States after the Second World War (forty-eight of them). (*41) His positive view of Clausewitz had much to do with damping down the lingering impact of Liddell Hart's fulminations. Ropp's emphasis on the social and political context of war, an approach first highly developed by Delbrück, gave great impetus to the growth of the "new" military history, with its focus on the interaction between armies and societies. This is not to say that Clausewitz was well known even among the general run of American military historians. For example, in a survey of fifteen of S.L.A. Marshall's books written between 1940 and 1979, there is only one mention of Clausewitz, a comment largely irrelevant and clearly derived from Fuller. (*42) Of course, Marshall's rejection of political or ideological factors in soldiers' combat motivation—his basic argument was that soldiers fight primarily for their buddies, the "primary group"—made much of Clausewitz irrelevant. Perhaps this is a reason that Marshall's work, so bitingly critical of the U.S. Army, nonetheless proved so appealing to the American military before Vietnam. Bernard Brodie was a key figure in alerting other scholars to the importance of Clausewitz. As Rosinski liked to point out, however, Brodie himself tended to fixate on technology as the driving factor in strategy and history. (*43) Brodie's "comparative disinterest in the niceties of Clausewitz's theorymaking" has been commented on by other analysts. (*44) Although he had been aware of Clausewitz and especially Corbett since the 1930s and was the first major scholar to discuss the political and strategic implications of nuclear weapons,(*45) the atomic bomb caused him to lose faith—at first—in Clausewitz. He never was able to discover a practical political use for nuclear weapons. It was the invention of the hydrogen bomb that led him to return energetically to the philosophy of On War. (*46) Brodie's two essays in the 1976 Howard/Paret edition were probably his most sophisticated contributions in the field. Much more important to military historians, particularly in England, has been Sir Michael Eliot Howard (1922-). Howard, whose education was interrupted by World War Two, served as a captain in the Coldstream Guards and won the Military Cross in 1943. He began teaching history in 1947 at King's College, London. He first read Clausewitz (in the Graham translation) in 1953 when he was appointed lecturer in war studies. Howard moved to Oxford in 1968 and was appointed to the Chichele chair in 1977, serving as Spenser Wilkinson's successor as professor of the history of war until 1980. Howard has been particularly successful at implanting a respect for Clausewitz in his students, who have come to dominate British military studies. A number of his protégés have contributed to the English-language literature specifically on Clausewitz. (*48) In 1980, Howard moved up to the even more prestigious Regius Professorship of Modern History and thence to Yale in 1989, as the first Robert A. Lovett Professor of Military and Naval History. From Yale, he has moved on to the Institute for Advanced Study at Princeton. Unquestionably the outstanding American scholar on Clausewitz today is Peter Paret. Born in Berlin in 1924 of Jewish family, Paret arrived in the United States (after repeated displacements) in 1942. He received his doctorate in history under Howard at the University of London in 1960. He has taught at Princeton and the University of California at Davis and is a member of the Institute for Advanced Study at Princeton. From 1968 to 1989, he was associated with Stanford University. He now lives in Princeton, although he remains a senior fellow at the Hoover Institute. Paret is not primarily a military historian, despite his many works in that field. Rather, his main interests are in intellectual and aesthetic history rather than military affairs. His exegesis of Clausewitz's thought is brilliant and, were this book focused on the period after World War Two or on an analysis of Clausewitz's own meaning, Paret and his views would certainly dominate the story. Although he was still quite junior as an academician, Paret early became the driving force behind scholarly studies of Clausewitz in the United States. In 1962 he helped launch what came to be called the "Clausewitz Project" at Princeton. A conference on Clausewitz was held in Berlin on 12-13 June 1964; Princeton's Center of International Studies had already announced the creation of the project in April. (*49) The participants were Paret, Howard, Brodie, Gordon Craig, Klaus Knorr, and John Shy; Germany was represented by Werner Hahlweg and Karl Dietrich Erdmann. Liddell Hart had some nominal connections with the project, and he assisted Paret in attempts to obtain funding from the Social Science Research Council. Unfortunately, probably owing to funding constraints (and possibly Princeton University Press's loss of interest in military subjects in the antiwar environment of the later 1960s), relatively little of the project's ambitious agenda ever reached fruition. Only the Howard/Paret edition of On War, Paret's intellectual biography Clausewitz and the State (both published by Princeton in 1976), and some other translations by Paret (some with the assistance of Daniel Moran) ever reached the publication stage. Paret and Moran published another volume of Clausewitz's historical and political writings in 1992, including such interesting pieces as Clausewitz's "Observations on Prussia in Its Great Catastrophe." On War has been a tremendous success, arriving on the market just as the Vietnam War became history and the subject of military and political postmortems. There have, of course, been a number of other important works specifically on Clausewitz published in English since 1945. Aside from a plethora of articles (largely in the military press), a number of condensations, and a popular biography,(*52) perhaps the most noteworthy are the Frenchman Raymond Aron's Clausewitz: Philosopher of War,(*53) the Israeli Jehuda Wallach's The Dogma of the Battle of Annihilation: The Theories of Clausewitz and Schlieffen and Their Impact on the German Conduct of Two World Wars, and—another Israeli—Azar Gat's The Origins of Military Thought: From the Enlightenment to Clausewitz. Nonmilitary academia has responded to the trend: For instance, MIT has offered a summer seminar on Clausewitz since 1989. Clausewitz is even beginning to appear in the popular press, something that last happened in Britain before World War One. Thus the musings of General Carl Philipp Gottlieb von Clausewitz, a Prussian soldier who fought against Napoleon and who died over 160 years ago, have come to dominate military thinking and writing in English. There are some small signs that this fashion is beginning to subside. 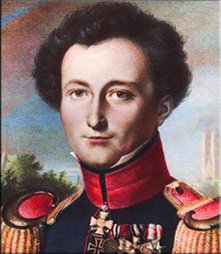 Over the years Clausewitz has periodically been declared obsolete, only to reemerge more influential than ever. Such arguments often focus on nuclear wars, but it seems increasingly likely that it is the nuclear theorists, not Clausewitz, who have been rendered obsolescent. (*63) There have also been complaints by military traditionalists about the excessive influence of "Clausewitz nuts" and by theoretical purists of "the prostitution of Clausewitz since 1981, particularly in FM 100-5 and its various degenerate offspring. "(*64) Both complaints have some justification. The eclecticism of Anglo-Saxon military thought is rooted in the same spirit as the Latin warning, Cave ab homine unius libri ("Beware the man of one book"): A narrow reliance on Clausewitz is inconsistent with the philosopher's own teaching. On the other hand, using On War as a mere stockpile of juicy quotations in support of this or that doctrinal position is also an abuse. In part, however, criticism of the new Clausewitzians is simply reaction; would-be competitors have little choice but to seek to dislodge the philosopher from his post-Vietnam primacy. And of course, some people are simply tired of hearing about this long-dead genius. As David Chandler has put it, "Clausewitz's airy Kantian generalizations have held sway long enough. "(*65) Martin van Creveld attempted in his 1991 Transformation of War "to construct a different, non-Clausewitzian and non-strategic, framework for thinking about war." He argues that war in the post-Cold War era is driven by forces outside the nation-state system and beyond the rational boundaries allegedly emphasized in On War. The pattern of conflict in the post-1945 world no longer yields to the "Clausewitzian assumption that war is rational." "To put it in a nutshell, I no longer consider war to be a means to an end. Instead, fighting is the one occasion in which the distinction between means and ends is abolished. "(*66) In this view, the "Clausewitzian universe" is obsolete because it is centered on war making by the "state"; Clausewitz's trinity of government, army, and people is therefore not applicable to Europe before the Treaty of Westphalia or to the world emerging from the Cold War era. Why this should be so is unclear: The "state" existed long before Westphalia, and a great many of the present-day conflicts that Creveld describes are waged by groups who represent would-be states. Stateless and antistate terrorism existed in the classical and medieval worlds, as well as in Europe in the heyday of nationalism. Clausewitz's own Prussia was a dynastic state radically different in conception from the nation-states that fought the great wars of the twentieth century. If we fall into the error of believing that Clausewitz's war was merely "a continuation of [rational] policy by other means," then it might not in fact apply to the recent spate of blatantly irrational ethnic conflicts. It is also possible that in a world seemingly freed of fundamental ideological conflict, in a period in which some would seriously suppose an "end to history," Clausewitz's strife-driven worldview might come to seem less relevant. Chandler's suggestion that "Baron Antoine-Jomini's rival (and more prosaic) approach ... is under serious reconsideration" may be a symptom of such a trend, further encouraged by what seems to some—in forgetful retrospect—to have been the "simplicity" of the Persian Gulf War. If not, we can look forward to another Clausewitzian revival after the next military disaster. 1. "The Pied Piper of Modern Military Thought," Military Review, v.XXXVII, no.8 (November 1957), 56-64. Although Kleinman referred repeatedly for support to intellectual figures like Arnold Toynbee, Friedrich Nietzsche, and semanticist Alfred Korzybski, the argument is so shallow that it is not worth analyzing here. See also Forrest K. Kleinman and Robert S. Horowitz, The Modern United States Army (New York: D. Van Nostrand, 1964). 2. E.g., Chapter XIII, "Employment of Secret Agents." 3. Ed., Rapoport, On War. 4. See Anatol Rapoport, Strategy and Conscience (New York: Harper and Row, 1964), which describes Rapoport's relevant views. 5. Rapoport, ed., On War, pp13, 54-80. The term was also picked up by Michael Howard, in his Foreword to Roger Parkinson's Clausewitz: A Biography (New York: Stein and Day, 1971), p11. Howard, of course, meant it as a compliment. 6. Rapoport, ed., On War, 67; Kahn, On Thermonuclear War (Princeton: Princeton University Press, 1961), 163. 7. Kahn, Thinking about the Unthinkable (New York: Horizon Press, 1962). 8. Michael Howard, "The Military Philosopher," Times Literary Supplement, June 25, 1976, 754-755. 9. Clausewitz receives no mention in Kissinger's own White House Years (1979); it appears that the discussion in Nuclear Weapons and Foreign Policy (New York: Harper and Brothers, 1957) was his only extended reference. Among Kissinger's biographers, only Bruce Mazlish, Kissinger: The European Mind in American Policy (New York: Basic Books, 1976), attempts to show him as a "disciple of Clausewitz" (233). Peter W. Dickson, Kissinger and the Meaning of History (Cambridge: Cambridge University Press, 1978), 168, n3, specifically attacks this thesis, arguing that "There is no evidence that Kissinger had read either Metternich or Clausewitz before completing his undergraduate thesis," i.e., before age 27. Even Mazlish (58) acknowledges that "Kissinger never became a scholar in relation to" Clausewitz. 10. Kissinger, A World Restored: Metternich, Castlereagh, and the Problems of Peace, 1812-1822 (Boston: Houghton Mifflin, 1957, 1973). 11. Kissinger, Nuclear Weapons and Foreign Policy, 340-344. 12. Kissinger cited Lenin's marginalia to Clausewitz, in "Cahier de Lénine No.18674 des Archives de l'Institut Lénine à Moscow," Bertholdt C. Friedl, Les Fondements Théoretiques de la Guerre et de la Paix en U.R.S.S. (Paris: Éditions Médicis, 1945), 47-90. For Lenin's relevant views in English, see also V.I. Lenin, Collected Works, "The Collapse of the Second International" (1915), v.21 (205-259, esp.219); "War and Revolution" (a lecture delivered 14 May 1917), v.24 (398-421); "Left-Wing Childishness abd the Petty-Bourgeois Mentality" (1918), v.27 (323-354, esp.332); "Speeches at a Meeting of Members of the German, Polish, Czechoslovak, Hungarian and Italian Delegations" (11 July 1921, speech #1), v.42 (324-327). 13. Henry Kissinger, Years of Upheaval (Boston: Little, Brown, 1982), 562-563, 989; Hans Morgenthau, Politics Among Nations: The Struggle for Power and Peace (New York: Knopf, 1948; sixth ed., 1985), 379. 14. USMA, Clausewitz, Jomini, Schlieffen (1951; 1964). 15. Edward Luttwak, The Grand Strategy of the Roman Empire: From the First Century A.D. to the Third (Baltimore: Johns Hopkins University Press, 1976), 61; cf., Luttwak's review of On War and Paret's Clausewitz and the State, New Republic, 14 May 1977, 36-37. 16. Walzer, Just and Unjust Wars, 22-25. Walzer based his argument on a reading of Collins's heavily abridged version of On War. 17. Joel Achenbach, "War and the Cult of Clausewitz," Washington Post, 6 December 1990, D1. 18. Manus A. Midlarsky, On War: Political Violence in the International System (New York: Free Press, 1975), 1. 19. Office of the Director of Intelligence, USAF, "Outlines of the Principles of Warfare from Clausewitz to the Present Time," ["An unclassified study, in outline form, dealing with the development of modern theories of warfare as propounded by Clausewitz, Ludendorff, Engels and Marx, Trotsky, Lenin and Stalin"], paper (Maxwell AFB, AL: Air University, 1949); Byron Dexter, "Clausewitz and Soviet Strategy," Foreign Affairs, v.29, no.1 (October 1950), 41-55; Werner Hahlweg, "Clausewitz, Lenin and Communist Military Attitudes Today," Journal of the United Service Institutes, v.CV, no.618 (May 1960), 221-225; Donald E. Davis and Walter S.G. Kohn, "Lenin as Disciple of Clausewitz," Military Review, September 1971, 49-55; W. B. Gallie, Philosophers of Peace and War; Jacob W. Kipp, "Lenin and Clausewitz: The Militarization of Marxism, 1914-1921," Military Affairs, October 1985, 184-191; Roman Kolkowicz, "On Limited War: Soviet Approaches," in Robert O'Neill and D.M. Horner, eds., New Directions in Strategic Thinking (London: George Allen and Unwin, 1981), 75-88; Azar Gat, "Clausewitz and the Marxists: Yet Another Look," Journal of Contemporary History, 27 (1992): 363-382. See also sources for Lenin's views on Clausewitz, discussed in fn.12 above. 20. On Mao and Clausewitz, see W.O. Staudenmaier, "Vietnam, Mao and Clausewitz," Parameters, v.VII, no.1 (1977), 79-89; R. Lynn Rylander, "Mao as a Clausewitzian Strategist," Military Review, v.61 (1981), no.8, 13-21; Alexander Atkinson, Social Order and the General Theory of Strategy (London: Routledge and Kegan Paul, 1981). 21. See Lieutenant Colonel [USA] William V. Murry, "Clausewitz and Limited Nuclear War," Military Review, v.LV, no.4 (April 1975), 15-28; R.A. Mason, "Clausewitz in the Nuclear Age," Journal of the Royal United Service Institution, September 1977; Jack H. Nunn, [Major USAR], "Termination: The Myth of the Short, Decisive Nuclear War," Parameters, December 1981; Bruce R. Nardulli, "Clausewitz and the Reorientation of Nuclear Strategy," Journal of Strategic Studies, December 1982, 494-510; Nicholas H. Fritz, Jr. [Colonel, USAF], "Clausewitz and U.S. Nuclear Weapons Policy," Air University Review, November-December 1982, 18-28; Richard Ned Lebow, "Clausewitz and Nuclear Crisis Stability," Political Science Quarterly, Spring 1988, 89-110; Robert Endicott Osgood, The Nuclear Dilemma in American Strategic Thought (Boulder: Westview Press, 1988); John E. Shephard, Jr. [Major, USA], "On War: Is Clausewitz Still Relevant?" Parameters, September 1990, 85-99; Cimbala, Clausewitz and Escalation. 22. Basil Liddell Hart, "War, Limited," Harper's Magazine, March 1946, 193-203. 23. See for example Seymour J. Deitchman, Limited War and American Defense Policy (Cambridge, Mass. : M.I.T. Press, 1964). The only contemporary discussion of which I am aware linking Clausewitz and the on-going war in Korea was French: René Silvain, "Clausewitz et la guerre de Corée," Revue Politique et Parlementaire, no.611 (October 1951), 165-72. Weigley, American Way of War, managed to make almost no reference at all to Clausewitz in its long discussion of post-World War Two U.S. military policy (although the book as a whole demonstrated a new appreciation of the philosopher). The connection was made in John W. Spanier, The Truman-MacArthur Controversy and the Korean War (New York: Norton, 1959, 1965); David Rees, Korea: The Limited War (New York: St. Martin's Press, 1964); Robert McClintock, The Meaning of Limited War (Boston: Houghton Mifflin, 1967). Morton H. Halperin, Limited War: An Essay on the Development of the Theory and An Annotated Bibliography (Cambridge: Center for International Affairs, Harvard University, 1962), makes no significant reference to Clausewitz as originator of the concept. His description of "Clausewitzian war" there and in Limited War in the Nuclear Age (New York: John Wiley and Sons, 1963) betrays no reading in Clausewitz beyond Chapter 1 of On War. 24. Robert Endicott Osgood, Limited War: The Challenge to American Strategy (Chicago: University of Chicago Press, 1957), esp. 21-23, 123. 25. Robert Endicott Osgood, Limited War Revisited (Boulder: Westview, 1979), 2. 26. Lebow, "Clausewitz and Nuclear Crisis Stability." 27. Samuel P. Huntington, The Soldier and the State: The Theory and Politics of Civil-Military Relations (Cambridge: Harvard University Press, 1957), 55-58. 28. For prominent U.S. Navy treatments of Clausewitz in this period, see Paul R. Schratz [Captain, USN], "Clausewitz, Cuba, and Command," United States Naval Institute Proceedings, August 1964, 24-33; Henry E. Eccles [Admiral, USN], Military Concepts and Philosophy (New Brunswick, NJ: Rutgers, 1965); James E. King, "On Clausewitz: Master Theorist of War," Naval War College Review, Fall 1977, 3-36. King was Director of Strategic Research at the Naval War College 1972-77. 29. Casyndekan, Inc., The Clausewitz Casyndekan (Colorado Springs: Casyndekan, Inc., 1969). 30. On War, Book One, Chapter 1, section 25 (this is the Howard/Paret translation). 31. On War, Book Eight, Chapter 6. 32. Harry G. Summers, Jr., On Strategy: A Critical Analysis of the Vietnam War (Novato, CA: Presidio Press, 1982). 33. Weinberger, "The Use of Force and the National Will," Baltimore Sun, 3 December 1984, 11; Major [USMC] John F. Otis, Jr., "Clausewitz: On Weinberger," Marine Corps Gazette, February 1988, 16-17; Alan Ned Sabrosky and Robert L. Sloane, eds., The Recourse to War: An Appraisal of the "Weinberger Doctrine" (Carlisle: Strategic Studies Institute, 1988). Future Chairman of the Joint Chiefs of Staff General (USA) Colin Powell was Weinberger's influential military assistant at the time. 34. Headquarters United States Marine Corps, FMFM 1: Warfighting (Washington, D.C., 1989). 35. Headquarters, Department of the Army, FM 100-5 Operations (Washington, D.C., 1982, 1986); Colonel Huba Wass de Czege, "Clausewitz: Historical Studies Remain Sound Compass References; The Catch is Staying on Course," Army, September 1988, 37-43. Wass de Czege wrote a detailed Guide to the Study of Clausewitz, On War for use in the Advanced Military Studies Program at Fort Leavenworth. 36. Steven J. Argersinger, "Karl von Clausewitz: Analysis of FM 100-5," Military Review, v.LXVI, February 1986, 68-75; Lieutenant Colonel [USA] Archie Galloway, "FM 100-5: Who Influenced Whom?" Military Review, March, 1986, 46-51; James J. Schneider and Lawrence J. Izzo, "Clausewitz's Elusive Center of Gravity," Parameters, v.XVII, no.3 (September 1987), 46-57; Richard M. Swain [Colonel, USA], "Clausewitz, FM100-5, and the Center of Gravity," Military Review, February 1988, 83; Steven Metz and Lieutenant [USA] Frederick M. Downey, "Centers of Gravity and Strategic Planning," Military Review, April, 1988, 22-33. FMFM 1, Ch.2, fn.28, acknowledges the difference between its definition and Clausewitz's. 37. See Lieutenant Colonel [USAF] David MacIsaac, "Master at Arms: Clausewitz in Full View," Air University Review, January-February 1979, 83-79. 38. LTC (USAF) Barry D. Watts, The Foundations of US Air Doctrine: The Problem of Friction in War (Maxwell Air Force Base, AL: Air University Press, 1984). Mark A. Clodfelter, "The Air War against North Vietnam, 1965-1972: A Clausewitzian Appraisal and Perception of Effectiveness," presentation, annual meeting of the American Historical Association at Cincinnati, 1988; The Limits of Air Power: The American Bombing of North Vietnam (New York: Free Press, 1989). 39. See Colonel (USA) Mitchell M. Zais, "West Point: Swordmaking or Swordsmanship?" Armed Forces Journal International, March 1990, 57-62. (The title is a reference to the metaphorical use of the sword in On War.) See also Commander [USCG] James F. McEntire, "Engineers or Guardians?" United States Naval Institute Proceedings, December 1990, 74-76. 40. Theodore Ropp, War in the Modern World (Durham, NC: Duke University Press, 1959). See also Ropp, "Strategic Thinking Since 1945," in O'Neill and Horner, eds., New Directions in Strategic Thinking, 1-13. 41. A list of Ropp's Ph.D. students is given as an appendix to Ropp's History & War (Augusta, GA: Hamburg Press, 1984), 77-80. 42. S.L.A. Marshall, Blitzkrieg: Its History, Strategy, Economics and the Challenge to America (New York: Morrow, 1940), 19-20, 144. 43. See Brodie's "Technological Change, Strategic Doctrine, and Political Outcomes," in Klaus Knorr, ed., Historical Dimensions of National Security Problems (Lawrence: University Press of Kansas, 1976), 263-306. See also Rosinski's critique, cited above in Ch.19, fn.59. 44. See King's critique of Brodie in "On Clausewitz: Master Theorist of War." 45. Bernard Brodie, ed., The Absolute Weapon: Atomic Power and World Order (New York: Harcourt Brace, 1946). 46. Barry H. Steiner, "Using the Absolute Weapon: Early Ideas of Bernard Brodie on Atomic Strategy," Journal of Strategic Studies, December 1984, esp. n.18. 47. Letter, Howard to Bassford, 9 May 1990. 48. Aside from Peter Paret's work, see Roger Parkinson, Clausewitz: A Biography (New York: Stein and Day, 1971); Roger Ashley Leonard, A Short Guide to Clausewitz On War (New York: G. P. Putnam's Sons, 1967). Azar Gat was Howard's student from 1984 to 1986. 49. Department of Public Information, Princeton University, news release, 10 April 1964. 50. Howard to Bassford, 9 May 1990. 51. The Howard/Paret version of On War is compared to other translations in Chapter 4 above. 52. Parkinson, Clausewitz: A Biography, which Paret—rather characteristically—referred to as "much inferior ... a poor specimen of popular biography, full of factual errors, howlers, and references to non-existent works." Paret (Clausewitz and the State, 443). Paret is, of course, quite right about the errors, mostly in historical background. On the other hand, as Bernard Brodie pointed out, Paret's own biography, while a marvelous work of scholarship, is rather narrowly intellectual in focus. Parkinson gives a vibrant portrait of Clausewitz the man and soldier. See reviews by Brodie, "Clausewitz: a Passion for War"; Gordon A. Craig, "Nothing Like a Good War," New York Times Book Review, May 23, 1971, 4, 26; A.J.P. Taylor, "Rational Wars?" New York Review of Books, November 4, 1971, 36-37. 53. Aron, trans. Booker and Stone, Clausewitz: Philosopher of War. The translation has been criticized and the book, while receiving much praise for its erudition, does not appear to have been widely read or cited. 54. Quoted in Achenbach, "War and the Cult of Clausewitz." 55. See Bjørn Møller, Resolving the Security Dilemma in Europe: The German Debate on Non-Offensive Defence (London: Brassey's, 1991), esp. 8, 39-40. 56. That debate is discussed in Chapter 4 above. 57. Richard E. Beringer, Herman Hattaway, Archer Jones, and William N. Still, Jr., The Elements of Confederate Defeat: Nationalism, War Aims, and Religion (Athens: University of Georgia Press, 1988). 58. Charles P. Roland, An American Iliad: The Story of the Civil War (Lexington: University Press of Kentucky, 1991). 59. Eliot A. Cohen and John Gooch, Military Misfortunes: The Anatomy of Failure in War (New York: Free Press, 1990). 60. Colonel T.N. Dupuy [USA, ret. ], Understanding War, 21-22. Dupuy's earlier Numbers, Predictions and War (New York: Bobbs-Merrill, 1979), makes little reference to the philosopher. 61. For an excellent Clausewitzian critique of the notion of using mathematical models as the basis for assessments of the military balance, see Eliot A. Cohen, "Toward Better Net Assessment," International Security, Summer 1988, 50-87. 62. Where P = Combat Power; N = numbers of troops; V = variable circumstances affecting a force in battle [! ]; and Q = Quality of Force. Dupuy, Understanding War, 30. 63. Achenbach, "War and the Cult of Clausewitz," quoting Colonel (USA, retired) Arthur Lykke, a senior professor of strategy at the Army War College; Colonel Lloyd Matthews, editor of Parameters, letter 17 July 1989. One of the best critiques of FM 100-5: Operations from the Clausewitzian standpoint was made by Colonel (USA) Richard M. Swain in an unpublished letter to the Editor of Army, 28 August 1988, which criticized Wass de Czege for an "intuitive" approach to history and doctrine. 64. John E. Shephard, Jr., makes a recent case for Clausewitz's partial obsolescence in "On War: Is Clausewitz Still Relevant?" See also Bruce R. Nardulli, "Clausewitz and the Reorientation of Nuclear Strategy," Journal of Strategic Studies, December 1982, 494-510. 65. David G. Chandler, in an enthusiastic review of Weigley's Age of Battles, Journal of Military History, April 1992, 294-295. 66. The Transformation of War (New York: Free Press, 1991); letter, van Creveld to Bassford, 7 November 1990. 67. Bernard Brodie often made puzzled references, e.g., "The Continuing Relevance of On War," 50, to the failure of modern military thought to incorporate and supersede Clausewitz, in the manner in which, say, Adam Smith's contribution to economics has been.